You have reached an introductory premier to the scientific study of the brain. 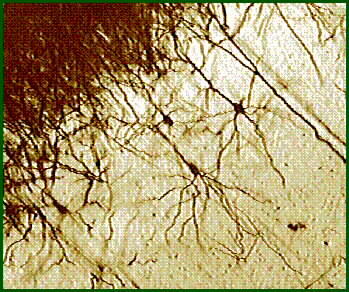 These web pages are designed to give a short overview of several aspects that involve the neurosciences. It was designed for anyone in any discipline having an interest in the brain and its study, and it only assumes partial knowledge of cell biology and gross anatomy. It should be understood by senior high school students onward. This introduction consists of several documents and each covers some aspect of the brain and its study, and have no preset order. The idea is that you choose from the alphabetical index any theme you would like to know about, and open it. If you find some concept you don't understand, it is probably a link to another document, where it is explained. The documents have links to other documents so that you can go from one to the other according to what interests you, and if you get to the end without linking, you can go back to the index. And as usual this site is new and still under constant construction, if you have any comments or suggestions please drop us a line. Go to the alphabetical index. This page is kept by Humberto Gutierrez and Christopher Ormsby, at the Instituto de Fisiologia Celular, UNAM, in Mexico City.